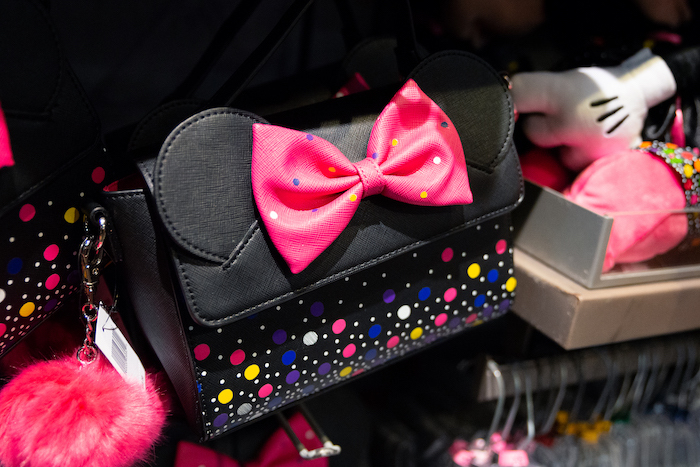 Get Ready to #RockTheDots with New Minnie Mouse Merchandise! 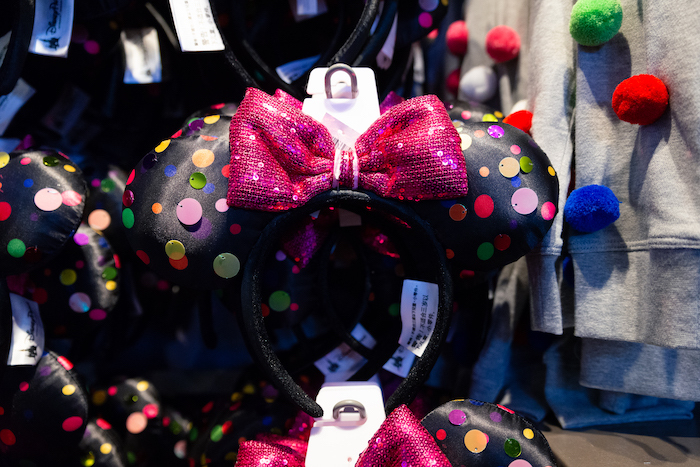 Celebrate National Polka Dot Day on January 22nd with new Minnie-inspired polka-dot merchandise at Walt Disney World. National Polka Dot Day is January 22nd, and each year Disney uses this day to honor everyone’s favorite polka-dot-wearing mouse! 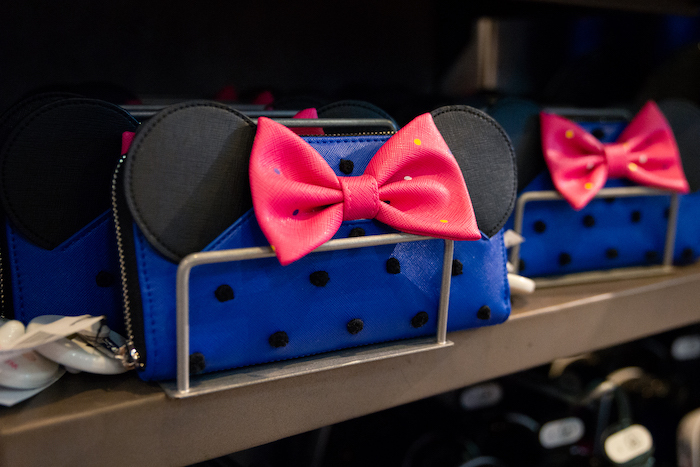 This year you can find new Minnie-inspired polka-dot merchandise all across Walt Disney World. New #RockTheDots Minnie Mouse plush available at Walt Disney World. Photo by Courtney Reynolds. How cute is this new Minnie Mouse plush? Instead of rocking her trademark red and white dress, she’s sporting a more vibrant look with bright, colorful polka dots and a pink bow. New clutch purse available at Walt Disney World. Photo by Courtney Reynolds. New Minnie Mouse tote available at Walt Disney World. Photo by Courtney Reynolds. 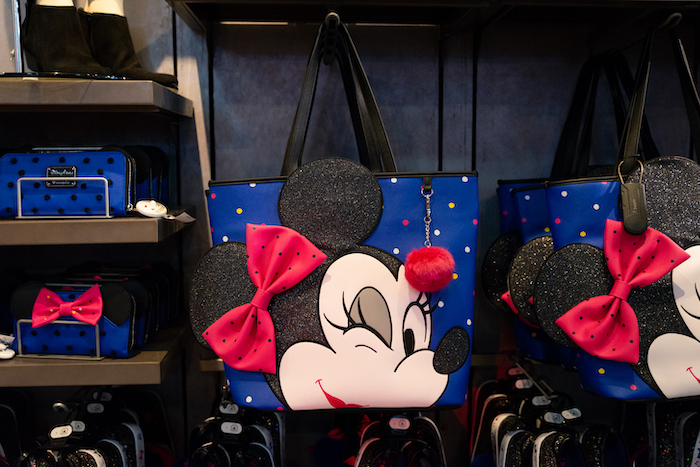 There’s also a new line of purses and totes that show off Minnie’s iconic style with a new trendy twist. New #RockTheDots apparel available at Walt Disney World. Photo by Courtney Reynolds. There’s even new apparel too – complete with fun slogans and lots of colorful pompoms! 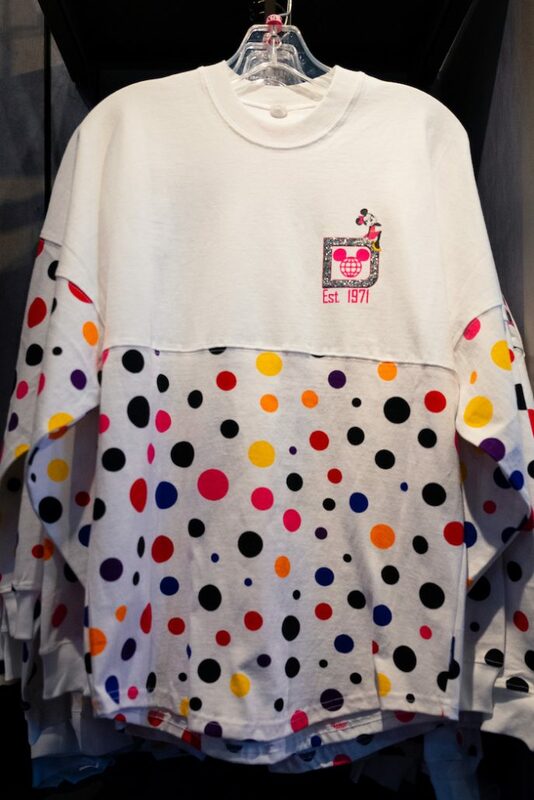 New #RockTheDots spirit jersey available at Walt Disney World. Photo by Courtney Reynolds. New Minnie Ears available at Walt Disney World. Photo by Courtney Reynolds. New MagicBand available at Walt Disney World. Photo by Courtney Reynolds. Complete your polka-dot look with a new Minnie Mouse MagicBand, and get ready to #RockTheDots on January 22nd (or whenever you’d like!) to celebrate all things Minnie Mouse! You can find this merchandise all across Walt Disney World and Disney Springs. 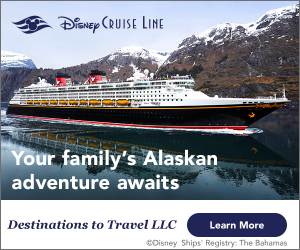 Want updates on new Disney merchandise? Subscribe today!